As you scroll through the massive supply on Amazon or skim all the candy at your local grocery store, you’ll notice that the amount of candy and the pricing is relatively similar from brand to brand. What instantly differentiates each product are their brand names and their clever package design. However, few brands are bold enough think beyond the box. Kinder is one of the few brands that has looked at the candy eating experience more holistically, beyond just the taste in the box. They were one of the first, if not the first, to merger a tasty treat with a fun surprise. At the heart of the KINDER™ brand is the commitment to sparking, sharing and celebrating the simple joys of childhood. After all, it’s the simple joys children experience that make childhood magical. That’s why, for almost 50 years, we have been delighting families all over the world through innovative products and experiences specially created to help parents and children share simple moments of joy together. So go on and surprise your loved ones with a Kinder Joy™! Kinder was created in 1968 by an Italian entrepreneur named Michele Ferrero in Alba, Piedmont. Ferrero was the son of Pietro Ferrero, the original founder of the popular chocolate brand, Ferrero Rocher (my dad’s personal favorite), which was founded in 1942 and is owned by the parent company Ferrero International S.A (privately held). 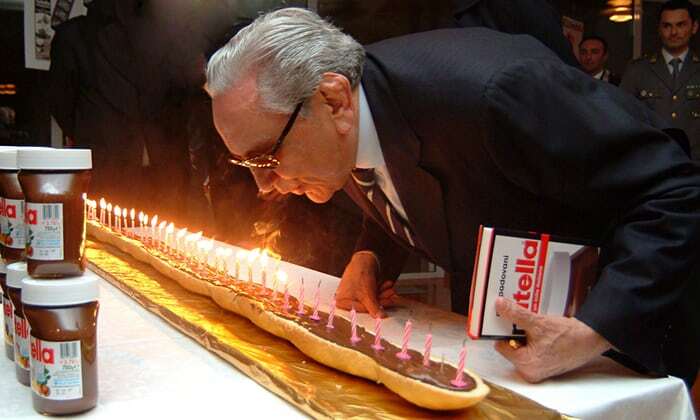 During the Second World War, it was hard to obtain ingredient for sweets, which inspired Ferrero to look for an abundant alternative that he could substitute and convert into a paste. This is what led him to hazelnuts, then Nutella. I think we all owe him a big thank you for this. Since 1997, his sons Giovanni Ferrero and Pietro Ferrero co-led the company, but the helm was passed to Giovanni after his brother passed away in a cycling accident in Cape Town in 2011. Giovanni steered the ship until September 2017, when they named Lapo Civiletti as the first non-family CEO. Giovanni is now the executive chairman, focused on long-term growth strategies. Why is it Called Kinder Surprise? Given the shape of the chocolate, a Kinder Surprise is sometimes referred to as Kinder Egg or a Kinder Surprise Egg. 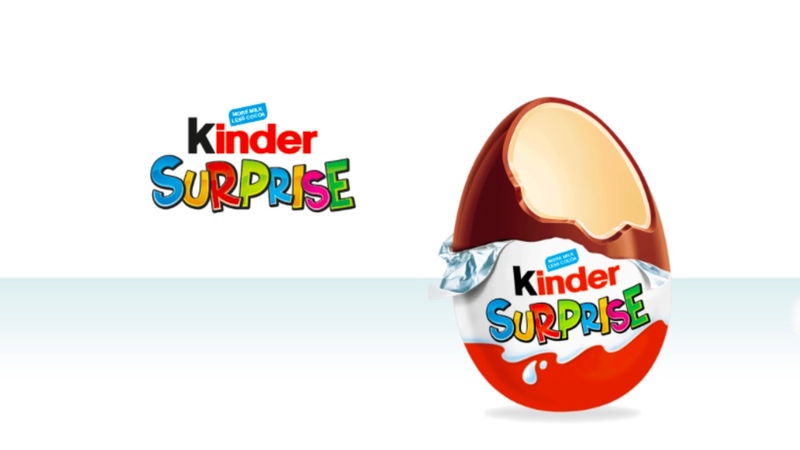 We’ll let you call it what you want, but the correct name is Kinder Surprise or Kinder Sorpresa in Italian. The “surprise” piece is pretty self explanatory, but is derived from the simple joy the little toy adds to a child’s life. And the word Kinder is the german word for “children” which relates to who they target and how they position the product. All of a sudden, the word kindergarten make more sense to me! You’ve probably seen headlines like the one above. 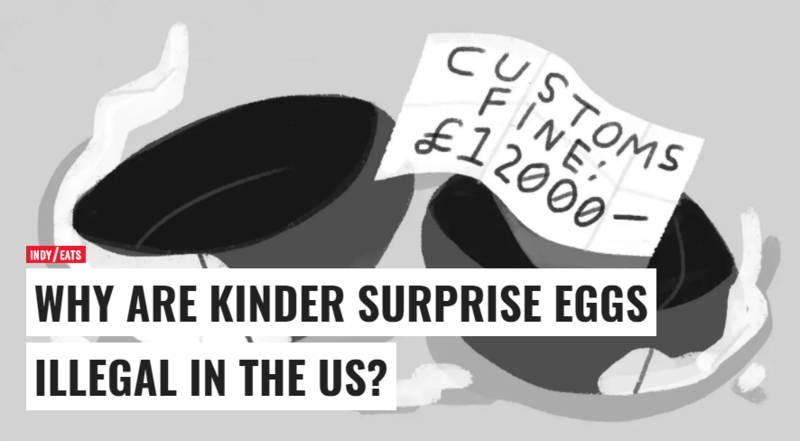 Since their launch in 1974, Kinder Surprises have been outlawed in the United States. The Consumer Product Safety Commission (CPSC) and the Food and Drug Administration (FDA) outlines that any food with a non-nutritive object embedded is strictly illegal. This really doesn’t make any sense because not only is the capsule holding the toy too large for a child to swallow, but they are also really hard to open. 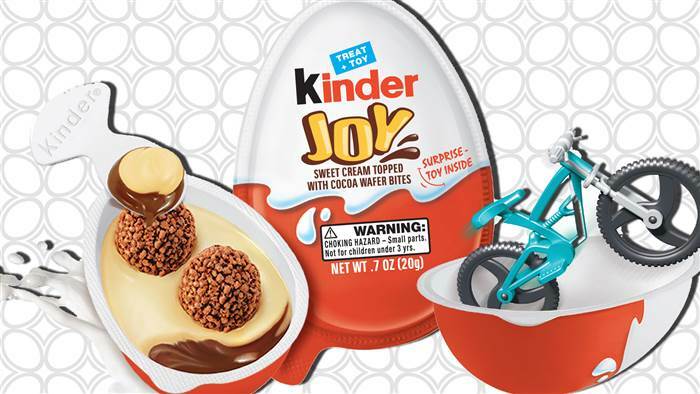 Kinder Joy’s can now be purchased in the United States. Surprise! The Kinder Joy is a twist on the Kinder Surprise. It is a plastic plastic egg-shaped package that contains two separately sealed halves. One half of the egg contains an edible treat made of two cream layers, one is sweet milk cream flavored and is mixed with cocoa-flavor. Sitting on the top are two round chocolate wafer bites that are filled with cocoa cream. Hungry yet? The other half of the egg contains a little toy. This chocolate is fully compliant with all standards because it fully separates the toy from the candy in the distinct egg halves. 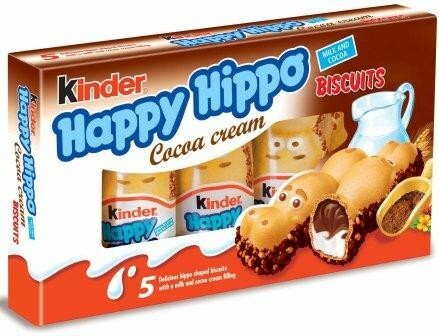 Additionally, Kinder makes and promotes several other products, including Kinder Chocolate Bars, Kinder Chocolate with Cereal, Kinder Choco Bons, Kinder Pingui, Kinder Milk – Slice, Kinder Maxi King, Kinder Bueno and my personal favorite, the Kinder Happy Hippo. What’s your favorite Kinder treat? Comment below! Thanks for reading why is Kinder Surprise Called Kinder Surprise!